The number of cases yet to be assigned to a social worker has reduced by just over 5% since the end of 2014. JUST UNDER 9,000 vulnerable children are still to be allocated a social worker on child welfare and protection grounds, new figures show. A breakdown of figures provided by Minister for Children James Reilly in response to a parliamentary question shows that there were some 2,303 high priority cases waiting be dealt with at the end of February. A further 3,866 cases were classified as a medium priority, while 1,752 were categorised as a low priority. The number of children still waiting to be assigned a social worker has reduced by just over 5% since the end of 2014, when 8,351 cases had not yet been responded to. Donal O’Malley, chair of the Irish Association of Social Workers, told TheJournal.ie that he was not surprised by the figures. The reality on the ground is that we’re dealing with an increasing number of child protection referrals and a decreasing number of social workers. He said that the number of cases reflects the lack of resources and administrative support available to dwindling staff numbers. Tusla, the Child and Family Agency, said the year-on-year reduction in the number of cases awaiting allocation is the result of initiatives “such as the Local Area Pathways and family support networks which are allowing cases that do not meet the threshold for social work intervention to get an appropriate, proportionate response”. Any child at immediate and serious risk of harm is prioritised and receives a timely intervention, a spokesperson said. Email “Thousands of vulnerable children are still waiting for a social worker”. 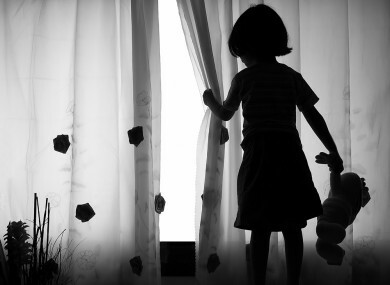 Feedback on “Thousands of vulnerable children are still waiting for a social worker”.